"Sow the seeds of growth; Blossom the mind and soul"
Our mission is to provide opportunities for people to grow cognitively and spiritually. We offer a comprehensive range of programmes for spiritual nurturing; make accessible the latest developments in research and theory; supply a collection of excellent educational resources for schools and churches; and support the continuous growth and renewal of religious educators and parents. During the 1960s the Church strengthened its education ministry and developed religious education. 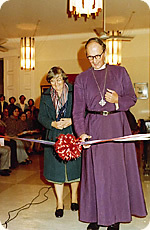 In 1973 Bishop Gilbert Baker appointed Dr Frances Young as a consultant in Religious Education. In 1975, Dr Young helped secure a donation of 30,000 US dollars for the development of Religious Education in Hong Kong from the Diocese of Southern Ohio. The Revd Chan Hin Cheung was appointed the first Diocesan Religious Education Officer that same year. 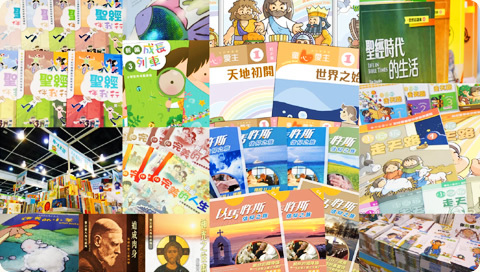 The Religious Education Resource Centre (RERC) was established in January 29, 1978. The Revd Chan Hin Cheung (1975-1981, 1982-1984) was made the first Director upon its establishment. Successive Directors include the Revd. Cheng Ho Ming (1981-1982), the Revd. David Shea (1984-1988), the Revd. Thomas Pang (1988-1995), the Revd. 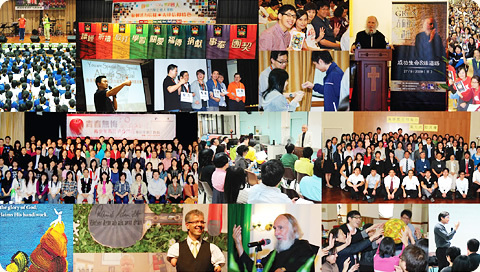 Timothy Kwok (1995-2005), Dr. Yeung Kwok Keung (2005-2008) and the Revd. Canon Thomas Pang (2008 - present). In its starting period, the Centre was set to serve the goal of Christian nurturing by providing training courses, publishing educational materials and supplying audio-visual resources. In the 90s, RERC had developed in a more mature scale, our training and publishing services became more diversified. To facilitate the diversifying works and growth in manpower, we moved from the Bishop House to the current site in Sham Shui Po in 1992. 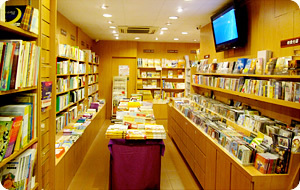 At the same time, a retail bookstore, the Book and Resource Service, was set up to offer religious education resources. Our target is not only for members from the SKH, but also for other Christian churches, organisations and schools. Marching towards the 21st century, RERC retains the character of the Anglican and the spirit of cross-denomination; we strive to respond to the different needs of our community, schools and churches. We prepare life education courses, produce multimedia teaching materials and provide training resources for the believers. At the same time, we are fully committed to promoting life and parenting education, to help parents teach children to love and to enjoy a full and fruitful life. Looking ahead, we pray that God's grace will be upon us one after another and we will be going from strength to strength. We will continue to work on nurturing and missionary, for the glory of God.